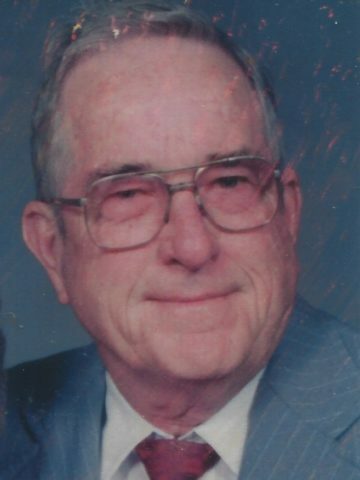 Ulyss “Glen” McDaniel, age 91 of Hendersonville, TN passed away on Tuesday, March 26, 2019. Glen was born January 12, 1928 in Bearden, AR to the late Charles and Alice (Lanius) McDaniel and was preceded in death by his loving and faithful wife of over 71 years, Betty McDaniel in 2018. Glen was a strong, caring and loving man who adored his family. Glen proudly served in the United States Navy during WWII and always had an American Flag flying high and proud. In his spare time, Glen enjoyed hunting, fishing, camping and playing cards with family and friends. Surviving are his son, Bobby (Linda) McDaniel; daughter, Lisa (David) Fields; grandchildren, Glen (Kelly) McDaniel, Cindy (James) Gilliard and Janis (Doug) Stromer; great-grandchildren, Garrett Gilliard, Ella Gilliard, Abigail Gilliard, Eris Gilliard, Lauren Stromer, Sarah Stromer, Adisyn McDaniel, Corbin McDaniel and Emmalyn McDaniel; several nieces and nephews. He is preceded in death by his brothers, Marvin McDaniel and Frank McDaniel; sisters, Dee Hugo and Murcile Haynes. Family will receive friends on Saturday, March 30th from 2-3pm at the Hendersonville Funeral Home and Memory Gardens (353 E. Main St; Hendersonville, TN 37075) where graveside services will follow at 3pm. To family and friends of Glen, I am so sorry for your loss. The Bible, at John 5:28-29, speaks of a wonderful promise and hope. Just as Jesus called his friend from his tomb, he will call our loved ones and they too will “come out”. Many long for this time. Since all of Gods promises come true, we have only to wait. Please find more comfort and hope in the included link to a magazine that offers these. Sincerely sp. Loved you. You are happy and whole again. Prayers for Bobby and Lisa and the grands. I am so sorry for your loss. Just remember the promise that Jesus gave us, that we have a grand reuinion in heaven. Love and prayers.